Just because Milwaukee has a reputation for being a meat-and-potatoes town doesn't mean vegetarians are destined to feel left out. There are a lot of options for vegetarian-friendly dining here that include everything from comfort food to chic small plates. Here are the best spots to try eating meatless. 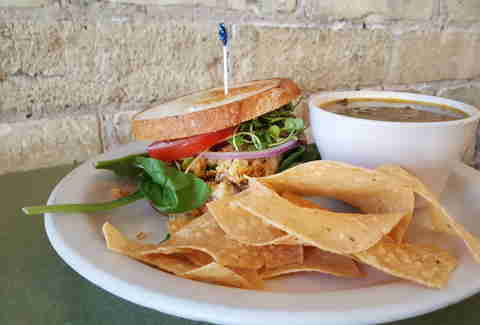 Ask 100 people to name a vegetarian-friendly restaurant in MKE, and 99 of them will say Beans & Barley. It's an institution in the city, located on a prime spot of North Ave since 1979. You can eat in, grab a vegetable curry to go from the deli case, or even do a little grocery shopping while you're there. 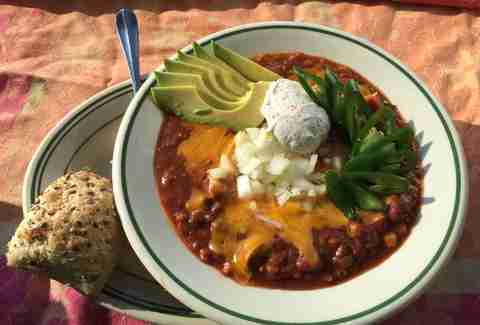 Homemade soups, vegetarian chili, and the sweet potato & black bean burrito are perennial favorites. The co-op serves as a corner store that's full of local, natural, and fair-trade goods, and doubles as a really rad little cafe that's open for breakfast, lunch, and dinner. All food on the menu is vegetarian, and it can all be made vegan, too. Seitan, tempeh, and tofu are staples here, but you can get them in non-boring preps like crispy "chicken"-fried tofu, tempeh Reubens, and Korean barbecued tofu topping off a bibimbap bowl. The menu at Casablanca is more Middle Eastern than Moroccan, so vegetarians will have no problem finding something on the menu. You can get hummus, falafel, couscous, stuffed grape leaves, and salads of all types, but those in the know go for the buffet. It's totally vegetarian every day except Sunday. Attention vegetarians looking for a more upscale, trendy experience: Odd Duck has your back. The menu will always have just about the same amount of vegetarian small plates as carnivorous -- and don't forget about the cheese selections. 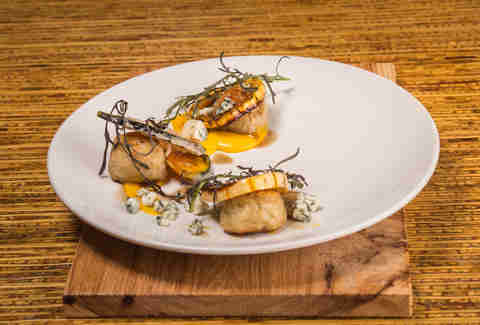 Each plate is a little work of art, and dishes change constantly with product that's fresh and available. On any given night, you may find sweet corn fritters with chow chow, watermelon, and tomato gazpacho, or Sichuan cauliflower. The comfort food haven of Comet Cafe is always willing to cradle vegetarians in its warm embrace. Vegan "ribs" might be a little mysterious, but they're beer-battered and deep-fried, so who cares? The Buttafuoco sandwich is a classic melt, with tomato, onion, herbs, cheese, and hot giardiniera for kick. 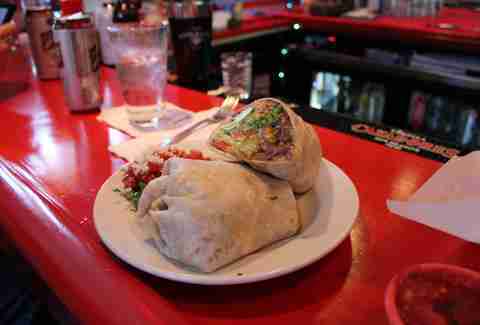 It helps that breakfast is served until mid-afternoon, so you can still cure that hangover at 2pm. 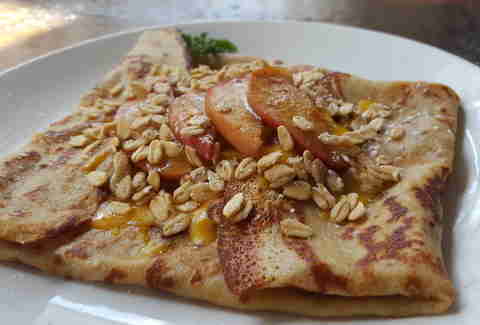 This all-vegetarian cafe offers sandwiches, panini, some tacos, and a couple of pasta dishes, but the focus is on crepes, filled with everything from sweets like fruit and Nutella to savory options like an Asian vegetable & herb slaw that tastes similar to an eggroll filling. Like all good cafes, Beerline lets you wash it all down with coffees, smoothies, and juices, all in a calm setting complete with plant walls. Ethiopian food is known internationally as an especially vegetarian-friendly cuisine. While Alem serves meat, but the vegetarian portion of the menu is long and varied. If you're new to Ethiopian food, try a sampler platter (for one or two people) that includes 10 vegetarian options, all served on and with injera, a spongy flatbread made from teff. There's also a vegetarian lunch buffet during the week, so you can sample even more options and pick your favorites. Don't be fooled by the Styrofoam plates and dirt-cheap prices at this veg-only Indian spot: the spice blends in the curries are sophisticated and perfectly balanced. The menu here is huge, especially considering it's just a small counter service restaurant, with everything from masala dosa to aloo saag. We dare you to walk out without getting at least three of the desserts from the refrigerated sweets case. 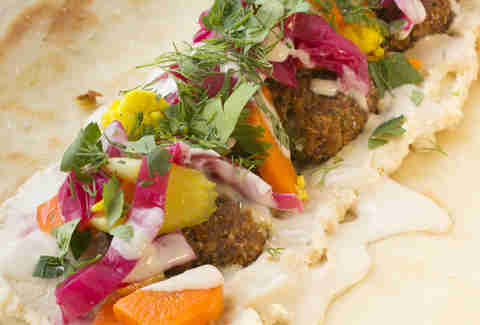 The newest kid on the block, Hello Falafel is from the veggie lovers behind Odd Duck and has only been open for a few months. 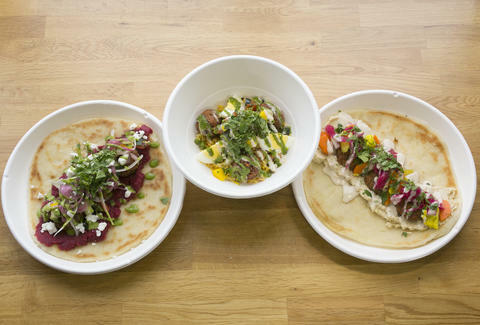 It's a fast-casual spot that serves up fried chickpea balls dressed four different ways, with condiments and toppings like beet spread, goat cheese, and cucumber salad. Fresh juices, lentil soup, and pita fattoush round out the menu. 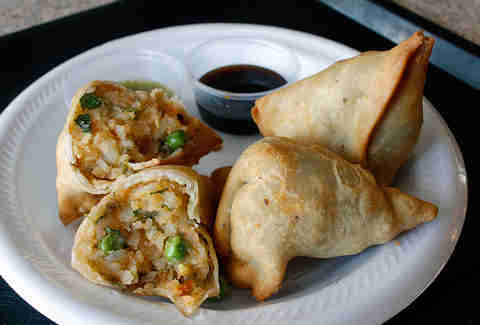 Lacey Muszynski is a Milwaukee writer who thinks samosas would be a great side to falafel. Follow her on Twitter @worthhersalt.